Heya guys! Might be a bit odd to be advertising something like this here, but I was given a suggestion to ask here, so I'm gonna go ahead. My name's Lilac, and I'm here to advertise my Sonic fangame, which currently is in need of two things. A few coders, and a few tile artists. The game's style is a little faithful to the classics, while taking its own liberties. 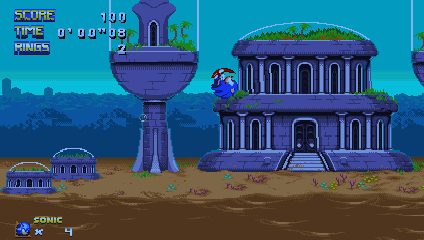 The stylistic inspiration is based off the Sega Saturn, and have lovely graphics in that style. We currently have a demo that anyone wanting to help the team interested may play, though we are in need of these roles as they are very important. Help would be appreciated. Any questions anyone has can be asked. Thanks in advance. This game looks pretty nice from what you provided in those screenshots. The help you're looking for is outside my skillset, but my I ask if the demo is public? Or are you only looking to share it with potential team members? Private, sorry. The game's title hasn't even been revealed to the community, and I'm trying to keep it private until we're about 50% done with it all, so it gives more hope to it rather than being at 5%, where a cancellation is very easy to see.